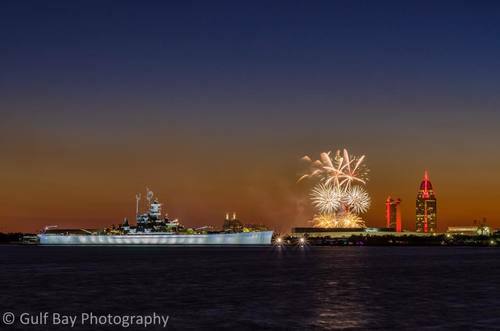 Come celebrate July 4th on Mobile's symbol of freedom, the USS ALABAMA. Enjoy an evening of music, barbeque, drinks, ice cream buffet, children's activities and fireworks viewing from the bow of the ship. Tickets are $50 for adults, $25 for children six and over, with children under 5 free. This is fundraiser for the USS ALABAMA. Proceeds help fund restoration projects for the ship.